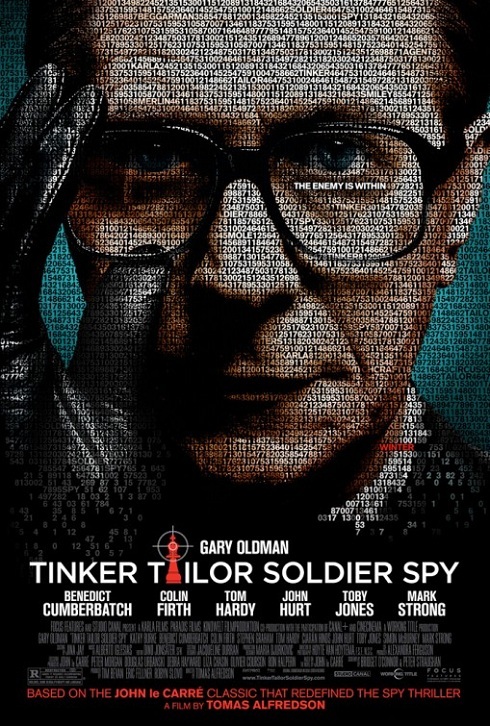 I was up for some espionage this week, so I went to see Tinker Tailor Soldier Spy, based on the novel by John le Carré. The movie follows George Smiley, played by Gary Oldman, a former espionage agent with the British secret service. He's forced out of retirement by some higher ups to find a mole within the agency. He must do this without the knowledge of his former coworkers, though he does enlist the help of one young agent. In his pursuit of information, he engages other fired agents, disgraced defectors and shows that he's smarter than the agents who had forced him out. The movie stars one of my favorite actors, Gary Oldman, who I would probably see in just about anything. He was spectacular once again in this one. Also a consistent delight, Colin Firth, who played a detestable character well enough to make me hate him. The movie, overall, was a great show of British talent, showcasing both established actors and relative newcomers. I've never been much into spy novels, but will likely be checking out le Carré now! Sammy Davis Jr. - "Spinning Wheel"
George Formby - "Mr. Wu's a Window Cleaner Now"
Julio Iglesias - "La Mer"
The Kills - "Baby Says"
James Blake - "A Case of You"